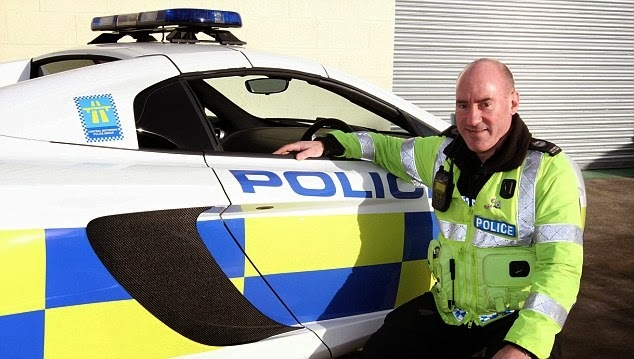 Watch out Dubai (and obviously the criminals in UK! 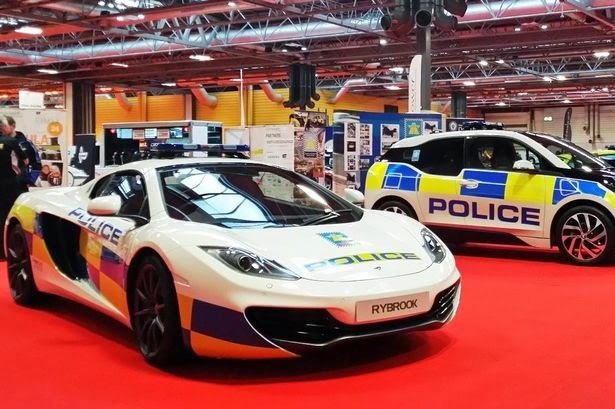 ), the british police department has just unveiled at Autosport International in Birmingham their new and fastest car that will join the fleet, a McLaren 12C Spider! It's a good improvement if you consider the countless diesel Astras and other boring cars supplied to the department, the 625hp british supercar has been given from a local McLaren dealership and since it's capable of a top speed of 335kph, the department will use this car as a deterrent and to patrol the motorways. Just wait til a stupid cop or criminal smashes it. 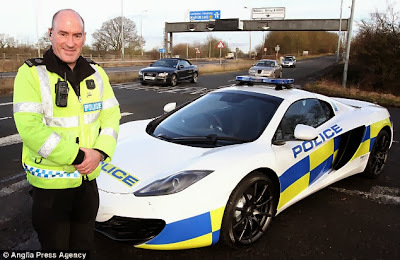 Why do cops get to drive such expensive cars? 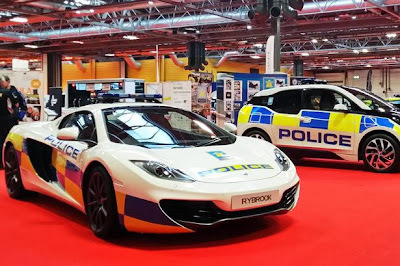 And are we the british tax payer, funding this? ridiculous.